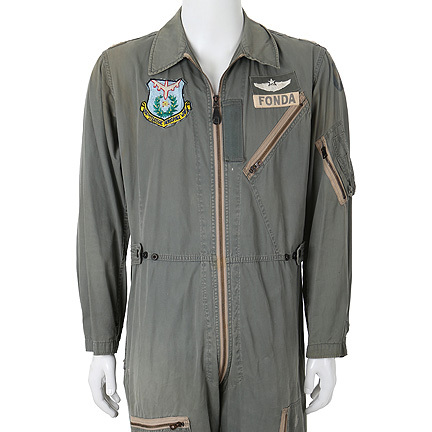 This flight suit was worn by the character “Fonda”, played by a background actor in the 1963 drama, “A Gathering of Eagles”. 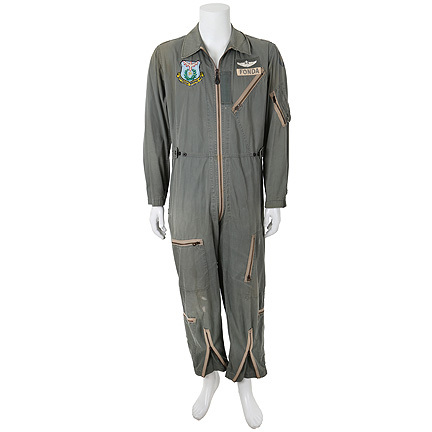 This light green cotton garment has slash zipper pockets at the left chest, upper and lower legs. 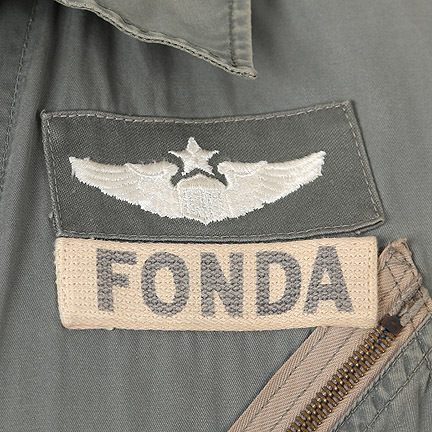 The original screen used patches are sewn onto garment, including a “904th Strategic Aerospace Wing” on the right chest, name tag “Fonda” and Air Force insignia on the left chest, two white bar patches on either shoulder and a printed “US Air Force” insignia on the top left arm. 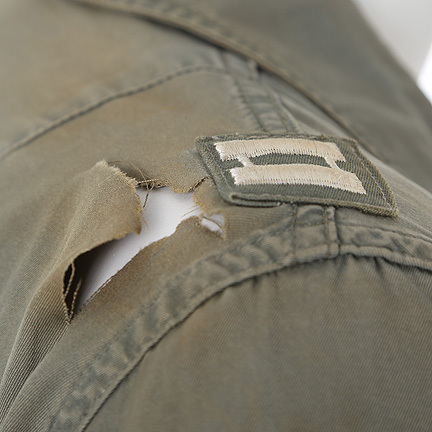 There is a small tear on the back right shoulder from use on a subsequent production. 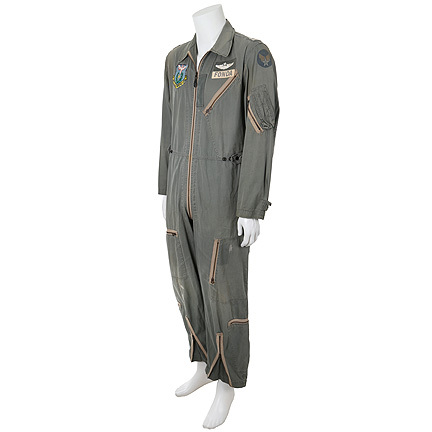 The character name is not identifiable on screen but similar flight suits are used throughout the film, worn by principle and background characters. 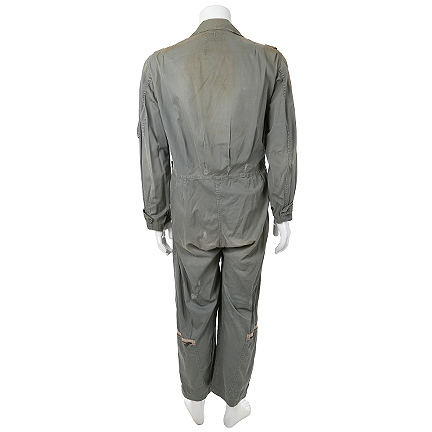 Background actors wear this flight suit most notably during wartime exercises practiced at the Strategic Air Command Air Force base, under the instruction of Colonel Jim Caldwell (Rock Hudson). 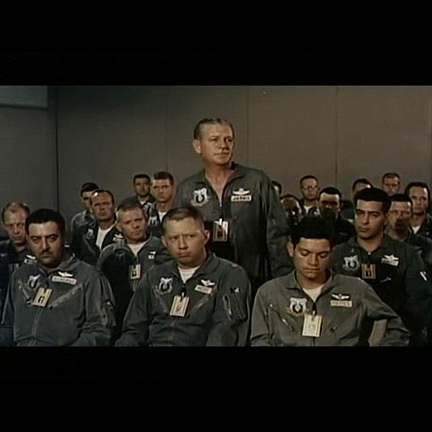 The Colonel is under assignment to shape up the B-52 squadron and orders random drills in preparation for a difficult inspection. 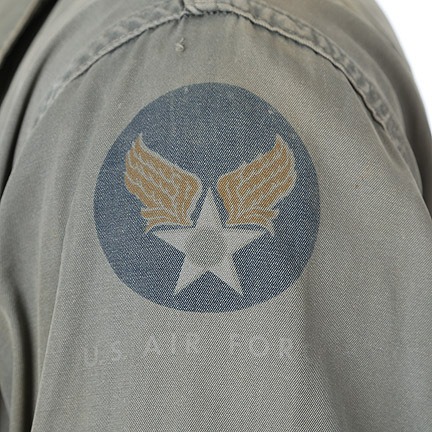 Flight suits are also seen during military presentations made by Col. Caldwell and Col. Hollis Farr (Rod Taylor). 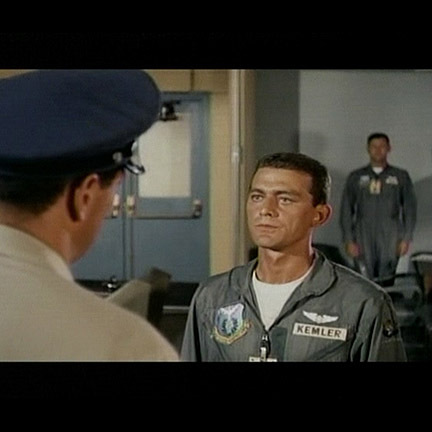 This film was directed by Sy Bartlett and starred Rock Hudson as a US Air Force Colonel assigned to prepare his squadron of wingmen for an upcoming inspection. 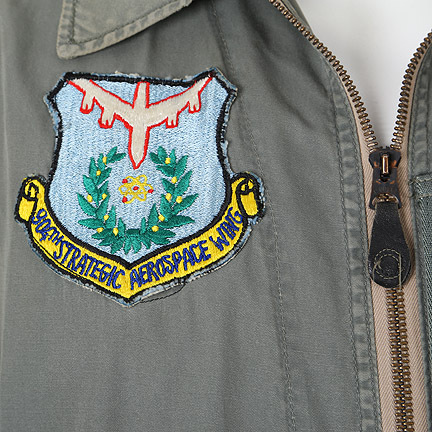 The previous commander was replaced for his failed attempts and the stress of the position affects both the Colonel’s marriage and friendships. 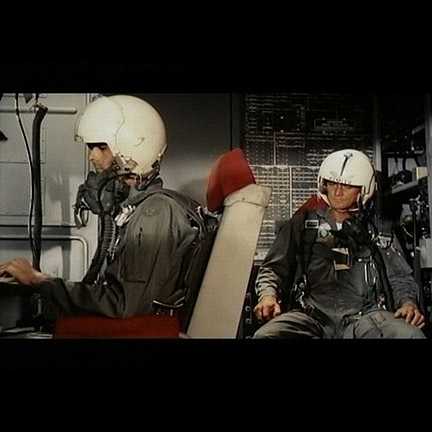 The film also starred Rod Taylor, Mary Peach and Barry Sullivan. 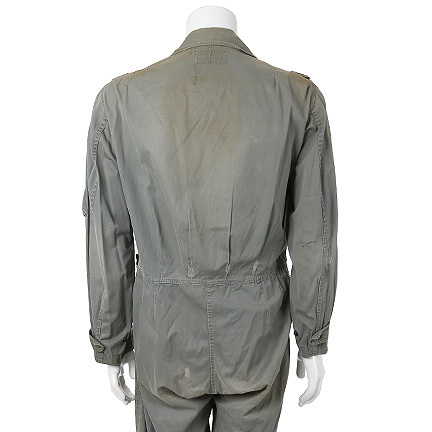 This item is in good screen worn condition with minor tears, and is accompanied by a letter of authenticity.